These are a great side option for summer burgers, or anything, really. That is, once any of us dares to turn the oven on again. 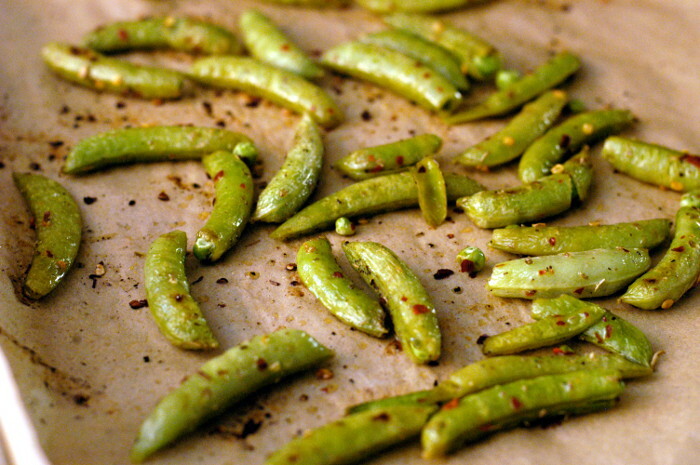 Toss the sugar snaps with the olive oil, oregano, red pepper, salt and pepper. Place the peas on a rimmed baking sheet lined with Parchment paper. Roast at 450 degrees for 8-12 minutes, tossing once or twice while they roast. When ready, the peas should be softened and beginning to brown. Makes about 3-4 servings, as a side. These look like a perfectly addicting snack!